GWIKS Officially Launched and Running! 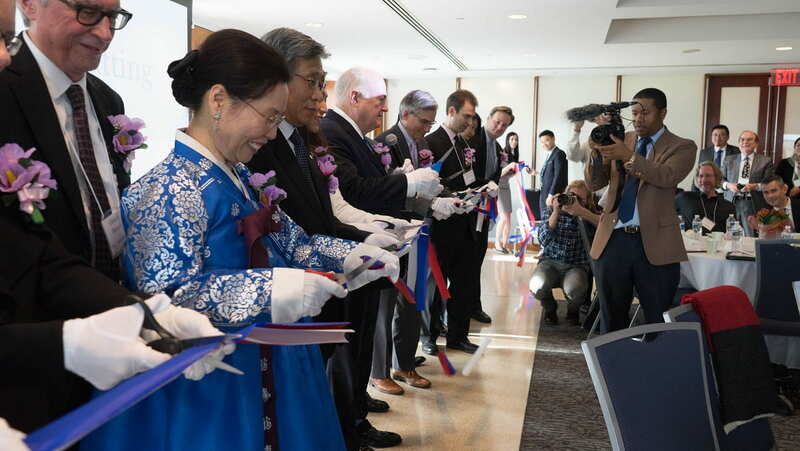 With the start of a new year, GW officially launched the Institute for Korean Studies, thanks to the generosity of the Academy of Korean Studies. 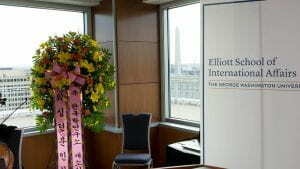 The Inaugural Ceremony was held on the 12th of January at the Elliott School of International Affairs. 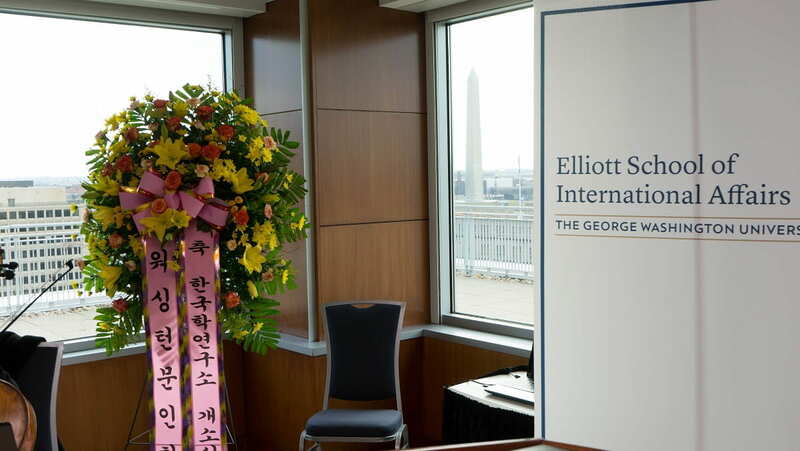 The George Washington University Emeritus Professor and GWIKS Senior Advisor Young-Key Kim-Renaud organized the all-day Inaugural Ceremony and Conference by securing funding through the National Endowment for the Humanities grant. 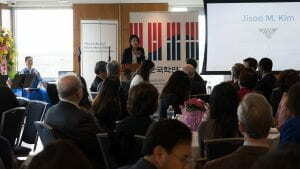 Thanks to the support of Language Translation Institute of Korea, The Embassy of the Republic of Korea in the USA, Korea Foundation, and The Korean Literary Society of Washington, the event was held successfully. There were more than a hundred participants, far beyond the room capacity that joined to celebrate the establishment of GWIKS. Interim Director of Institute for Korean Studies, Gregg A. Brazinsky. 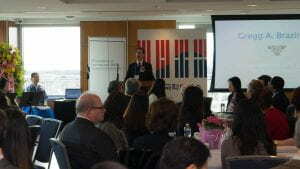 The remarks by President of the Academy of Korean Studies, Ki-Dong Lee; President of the Korea Foundation, Sihyung Lee; the Dean of the Elliott School of International Affairs, Reuben E. Brigety were read by proxy, by R. Richard Grinker, Seayoun Lee, and Edward McCord respectively. 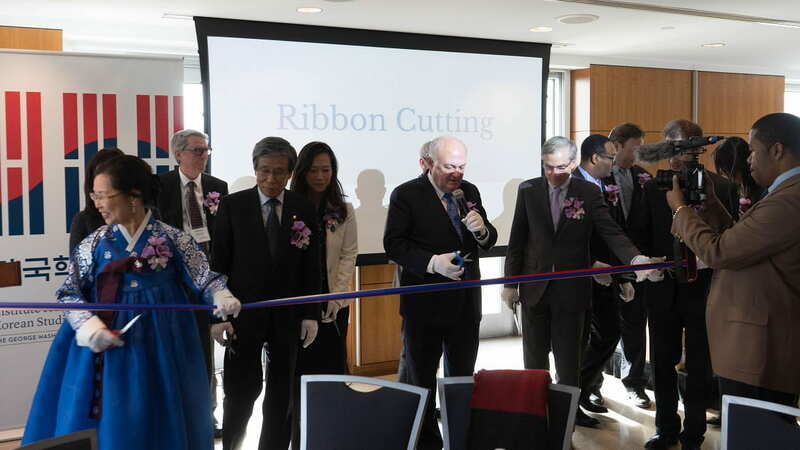 A ribbon-cutting ceremony followed the special remarks, which officially indicated the opening of the brand new Institute for Korean Studies at GW. GWIKS thanks everyone who took their time to participate in the event to celebrate the opening of GWIKS with us! Big thanks to all the supporters for a successful event.